Located in Prenton and easily accessed from Junction 3 of the M53 as well as from Tranmere, Birkenhead, Noctorum and Woodchurch, Durley Garage is your go-to garage on the Wirral. 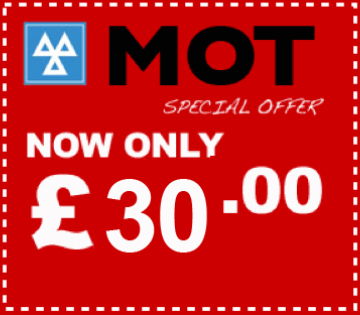 Contact the specialists here at Durley Garage and MOT Centre for MOTs in Wirral. We have over 40 years of experience, and we are here for anyone requiring the services of a fully qualified and experienced team of technicians. See our MOT Page for more details. Please do not hesitate to visit our MOT Centre in Prenton today, we are more than happy to help. Durley Garage and MOT Centre is a well-established business and we have been trading locally for many years, with a reputation for first class customer service and a full workshop facility. We offer nothing less than a friendly and professional service carried out by fully qualified, time served technicians. We offer fixed price servicing and any genuine quote will be beaten by a mile. If you would like to discuss anything then please feel free to give us a call today. If you require car repair services in Prenton, then contact Durley Garage and MOT Centre call us on 0151 608 0788. Alternatively, send us a message using the contact form on this website and a member of our dedicated team will get back in touch as soon as possible. Remember to make our MOT centre in Prenton your first choice. We also offer a shuttle service if you want to drop your car, van or motorhome with us, we can drop you off at your home or place of work and drop your vehicle back to you when its MOT or service is complete. This offer is only available when enquiring through the contact us form, not via phone enquiries.